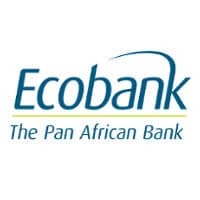 Pan-African banking group Ecobank has signed a memorandum of understanding (MoU) with Mastercard to roll out Masterpass QR mobile payments across 33 African countries. In what the payment company says is the largest Masterpass deal of its kind for Mastercard globally, Ecobank customers will be able to pay for online and in-store purchases by scanning a QR code displayed at checkout with smartphones, or by entering a merchant identifier into their device. The Ecobank Masterpass QR service was launched in Nigeria last month as an enhancement to the Masterpass digital payment platform. It aims to enable millions of micro, small and medium enterprises across Africa to accept fast and secure digital payments. Customers in another 32 countries will be able to access the service “by the end of 2016”, Mastercard says. Benin, Burkina Faso, Burundi, Cameroon, Cape Verde, Central African Republic, Chad, Congo (Brazzaville), Congo (Democratic Republic), Côte d’Ivoire, Equatorial Guinea, Gabon, Ghana, Guinea Conakry, Guinea Bissau, Kenya, Liberia, Malawi, Mali, Mozambique, Nigeria, Rwanda, Sao Tome and Principe, Senegal, Sierra Leone, South Sudan, Tanzania, The Gambia, Togo, Uganda, Zambia and Zimbabwe. “We will use Masterpass QR to leverage the power of digital to bring millions of people into the formal financial sector,” says Ecobank Group CEO Ade Ayeyemi, adding the MoU gave the group the “scale and capacity to achieve its 100m customer ambition in a profitable and sustainable way by 2020”. The companies say the service addresses the challenges of expensive infrastructure issues across the continent, associated with traditional point-of-sale devices, and eliminates the need for cash. Daniel Monehin, Mastercard’s Sub-Saharan Africa division president says the deal will result in “millions of previously excluded people joining the financial ecosystem”.